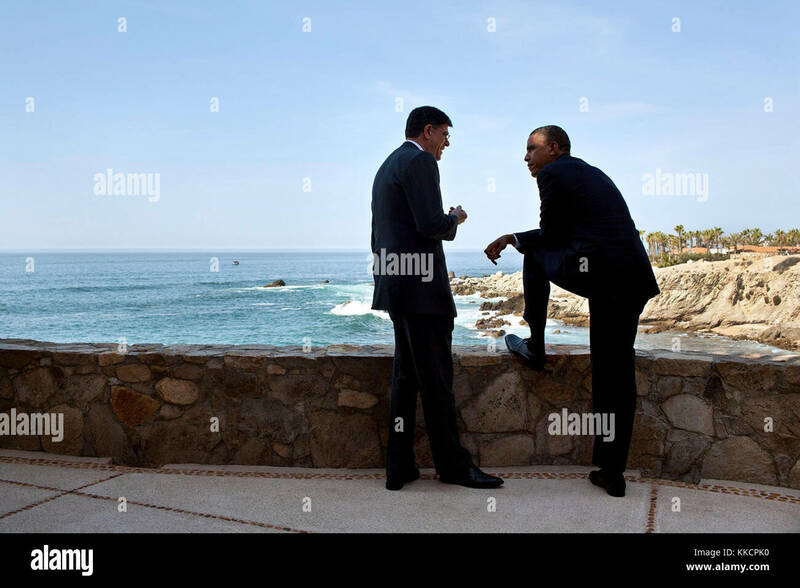 June 18, 2012 "We were in Mexico for tk summit. While the President was waiting for Russian President Vladimir Putin to arrive for their bilateral meeting, he stepped outside to talk with Chief of Staff Jack Lew." (Official White House Photo by Pete Souza) This official White House photograph is being made available only for publication by news organizations and/or for personal use printing by the subject(s) of the photograph. The photograph may not be manipulated in any way and may not be used in commercial or political materials, advertisements, emails, products, promotions that in any way suggests approval or endorsement of the President, the First Family, or the White House.